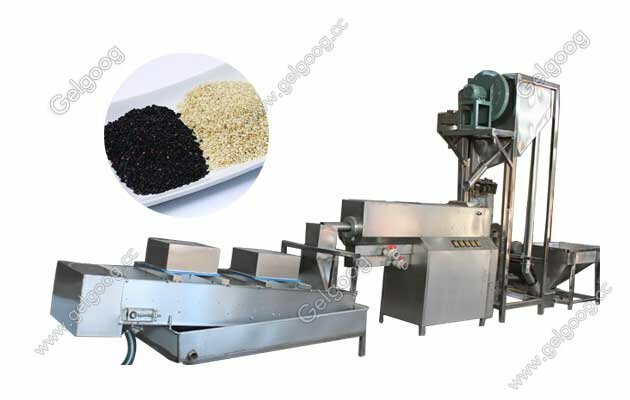 The sesame washing and drying machine plant is used for cleaning sesame seeds and dry them with high efficiency. Sesame Seeds Washing And Drying Line|Sesae Seeds Cleaning Plant Manufacturer The sesame washing and drying machine plant is used for cleaning sesame seeds and dry them. 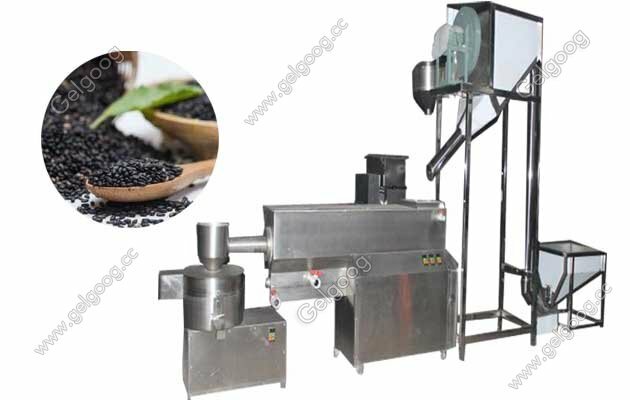 Sesame cleaning machine is mainly used for cleaning sesame and many other seeds. It can easily and effectively remove the stone, dust and other impurities in sesame. 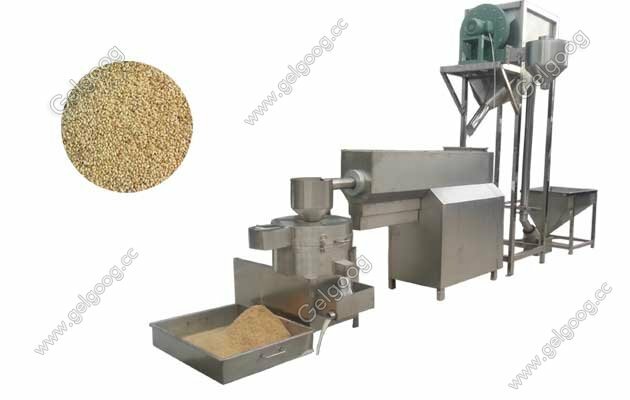 It is an ideal processing equipment for sesame processing plant. 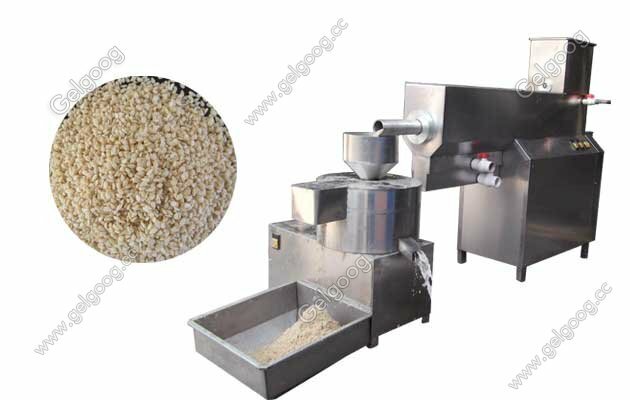 In addition to sesame cleaning machine, sesame desquamation machine is also popular. It is applicable to a variety of Chinese cabbage seeds, such as white / Brown / black sesame, rapeseed, etc..
To the washing machine can be equipped with sesame peanut butter in small peanut butter production line; or by small baking machine and the hydraulic mechanism of sesame oil; or directly washed sesame dry, in order to further use in the fast food industry. 1. Spiral agitation device is equipped with full agitation of sesame to improve the cleaning efficiency. 2.The work procedure mainly includes: discharge sewage, remove solid impurities, and get clean sesame. 3. 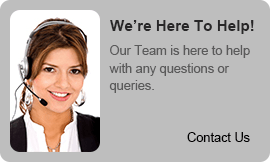 Operation is simple and the labor cost is low. 4:Water saving, low energy consumption, environmental protection.